Some of you may ask : “What is Watchbox ? “ Well, WatchBox is the global leader in pre-owned luxury watches. So you can now Buy, Sell, or Trade your luxury watch easily with a trusted partner. WatchBox™ is the global destination for luxury pre-owned timepieces, offering an expertly curated inventory of luxury pre-owned watches for sale, personalized client services, educational opportunities and astute editorial content. Founded in 2017, WatchBox is the result of a game-changing partnership between Danny Govberg, CEO of Govberg Jewelers, Tay Liam Wee, former owner of Sincere Watch, and investor-entrepreneur Justin Reis. This partnership brings together unprecedented watch industry experience, innovative technology, sophisticated data systems and marketing, as well as financial strength and business acumen to positively transform the multi-billion-dollar pre-owned luxury watch industry. In August 2018, Watchbox has openned a new office in Neuchâtel in order to be closer to the heart of the luxury watch industry. This one marks the company’s third physical location after Hong-Kong and Philadelphia. 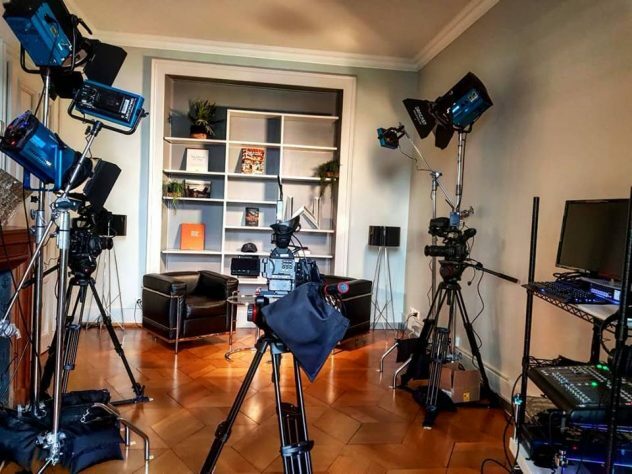 WatchBox’s Swiss headquarters includes a showroom for private appointments, events, trading floor and also a really nice “WatchBox Studio“ to produce live-stream broadcasts, hands-on watch reviews, podcasts, interviews, and creative film content. 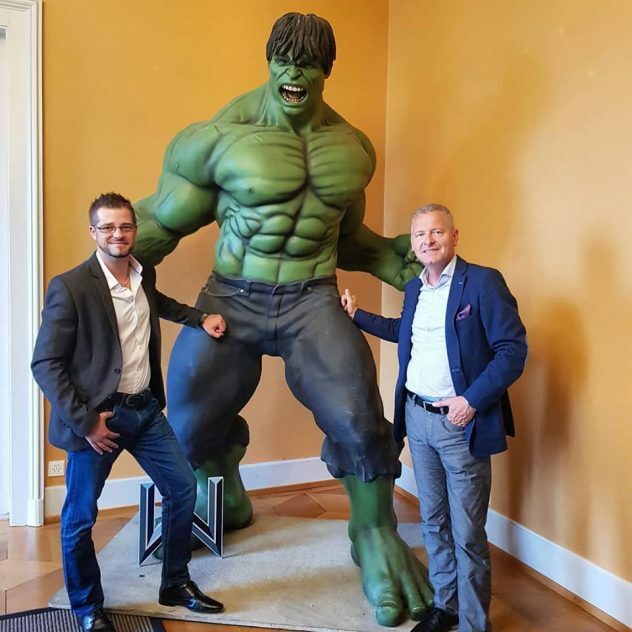 I had the chance to visit it and meet Patrik Hoffmann (Executive vice president), Susanne Hurni (Vice President of Marketing), Herbert Gautschi (Vice President of Business Operations) and I must admit that I was quite impressed by this location. Why talking about Watchbox on Watchisthis as today WatchBox offers an wide selection of pre-owned luxury timepieces? Easy answer : Because they also sell watches priced under 2500$. 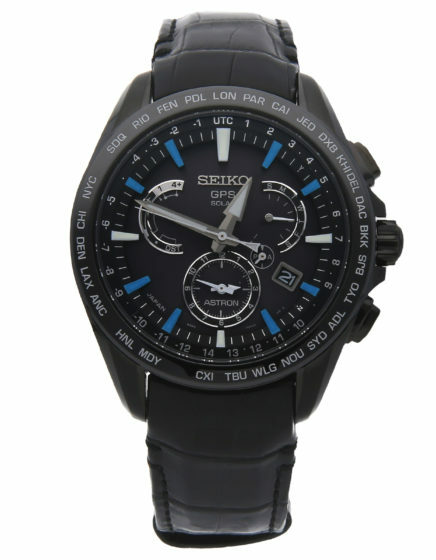 I found the Pre-Owned Seiko Astron GPS Solar Dual Time Limited Edition (SSE067) quartz watch and so I was thinking that it could be a great watch to introduce you to Watchbox. Note that, Watchbox is not only a watch marketplace or e-commerce platform. They buy and own inventory. So that means they are a trusted seller. Moreover, the timepieces that you can purchase from them come with guaranteed authenticity and a warranty of 15 months. Each watch is thoroughly evaluated by Swiss-trained watchmakers in their service centres, ensuring the highest possible return for clients selling watches, and peace of mind for clients purchasing pre-owned timepieces. Now about the watch. Sure you already know it. This Seiko features a 45mm black stainless steel case with a black ceramic bezel surrounding a black dial on a black alligator strap with a rose gold plated titanium deployant buckle. Functions include hours, minutes, small-seconds, day, date, chronograph, dual time and day/night indicator. This watch comes complete with box and papers. With this piece global travel could not be easier. Using just the power of light, Astron connects to the GPS network and tells time with atomic clock precision, adjusting at the touch of a button to your time zone. Now, with the new Dual-Time caliber, you can read not only the time where you are, but also the time in your home time zone on a simple 12 hour sub-dial with a separate AM/PM indicator. In addition, the day of the week is displayed in a retrograde display at the 2 o’clock position, with the date at the 4 o’clock position. The date is correct every day until February 28, 2100, thanks to Astron’s Perpetual Calendar and the operation of the watch is made simple by the electronic setting function in the crown. On Watchbox you have the possibility to get this watch for the price of 1200€ (1350 US$), and as every watch are carefully checked before, you can be sure to have it in mint quality. Many others Seiko are one sale on Watchbox so if ever you’re interested feel free to jump on their website.